You may have noticed that the GoodSound! website has changed a bit. By changed, I mean that GoodSound! doesn’t exist anymore -- at least, not in the form it has enjoyed since its creation in the late 20th century. GoodSound!’s founder, Marlon Ben Feld, was a musician and audiophile when he began the site. Because he was also a music student, affordability and practicality have always been essential parts of this high-end audio endeavor. In the late 1990s, the same type of equipment -- affordable or otherwise -- was being made by manufacturers, evaluated by reviewers, and bought by audiophiles as in the late 1980s. Class-AB power amplifiers, preamplifiers, record players, CD players, and multi-way loudspeakers . . . scintillating. By the end of the first decade of the 21st century, however, the audio landscape had begun to change. Record players were continuing their slide out of vogue, CD players were entering their twilight years, and computer-based audio had been born but was still toddling about, unsure of which direction to go next. But even in its infancy, computer audio held great potential. Wireless high-end audio had also been born, with Apple’s AirPort Express offering millions of people around the world the ability to losslessly send their music through the air. So in the latter half of 2013, we felt the time was right to reevaluate GoodSound!, in terms of both the types of components reviewed, and its role within the family of SoundStage! Network websites. SoundStage! Access. GoodSound! 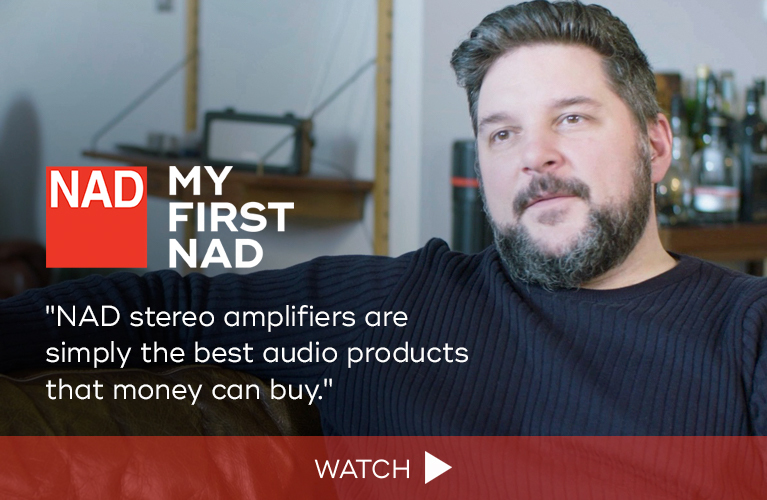 has always championed affordability, but the increasingly blurred lines between product types has made it more difficult for us to make the site jibe with traditional high-end audio hardware. Which is just as well. Integrated amplifiers used to be frowned on by the audiophile elite, in the same way that old money frowns on the nouveau riche. The cheek of these clever young upstarts, to build an amplifier and a preamp on the same chassis! And then, to add insult to injury, to add a digital-to-analog converter? Horrors! Some still think that way. Which is fine. But the results are expensive, inefficient, and outmoded. In addition to merely affordable products, SoundStage! Access strives to cover more innovative and forward-thinking gear. In many instances, a single product will have all of these qualities -- in which case, all the better. Home-theater gear may still be reviewed here, as might the more interesting “consumer-level” electronics. Per the policy established for and practiced on GoodSound! since its inception, such products will be evaluated on the basis of sound, connectivity, and visual appeal. In line with this mandate is increasing overlap with the resources of our sister website, SoundStage! Hi-Fi. Going forward, you’ll see that some loudspeaker reviews published on Access -- such as my upcoming review of Amphion’s Ion+ -- will include rafts of detailed graphs plotting a speaker’s frequency response on and off axis, as well as its phase, impedance, and harmonic distortion. We feel that these inform readers about how a speaker behaves, and can be as illuminating as the review they accompany. While other publications rely on quasi-anechoic measurement techniques, we make use of the anechoic chamber at Canada’s National Research Council (NRC). This is the same anechoic chamber that Paul Barton, of PSB Speakers, continues to use to develop his new loudspeakers, and that Axiom Audio has duplicated in their own design facility. Use of a purely anechoic testing environment means the elimination of guesswork, outside variables, and anything else that might obfuscate the raw performance of a given loudspeaker design. SoundStage! Access will also benefit from the reach of the SoundStage! Network. For example, later this month I’ll visit Cambridge, England, to tour the factory of Arcam; hopefully, I’ll be taking more such tours in the future. 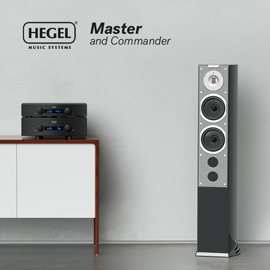 It will mean on-the-spot coverage of the Consumer Electronics Show, held every January in Las Vegas, Nevada; as well as of the High End show, held each May in Munich, Germany -- the biggest and best hi-fi audio exposition in the world. Perhaps most important, it will allow for some very high-performance yet still accessible equipment, from some of the world’s most respected manufacturers, to find its way into the listening rooms and reference systems of SoundStage! Access reviewers. Music will continue to be the main subject of Access, but don’t be surprised if some interesting films also wind up being reviewed -- surely I’m not the only one whose stereo pulls double duty for use with a television. Gone will be the Great Buy accolade, and in its place will come SoundStage! Network’s Reviewers’ Choice award. In short, Access will feel -- and be -- more vibrant and progressive. The future of audio is not big amps and preamps on a floor, flanked by monolithic loudspeakers that look like they’re from a bygone era. We’ve come too far technologically to wallow in an ancient paradigm for another decade. Nor must we burden ourselves with equipment that looks generic and feels similarly. Thanks to manufacturing advances (and China’s coming of age -- xie-xie! ), even inexpensive products can look and feel like something reeking of quality. So be on the lookout for compact integrated solutions with digital connectivity, for more powered loudspeakers, and for some inspired visual design work. Hear that? It’s the future knocking. Let it move the hell in. Welcome to SoundStage! Access.